Sindyanna of Galilee, a nonprofit organization established in 1996, is located in the Palestinian village of Kfer Kana in the picturesque Galilee region in the northern Israel. The organization, run jointly by Arab and Jewish women, focuses on the promotion of products from olive. Sindyanna was born out of economic need of the Palestinian farmers and their families, voiced by women members of El-Baqa Community Center, Sindyanna's predecessor in the village of Majd Al-Krum. Combining commercial activity with community work, Sindyanna functions as a packaging and distribution outlet for Palestinian farmers from both inside Israel and the West Bank to market and export their olive oil products. 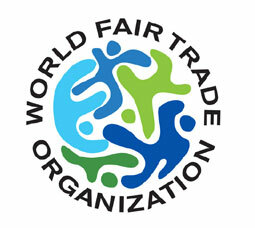 A member of IFAT (International Fair Trade Association) and Israel Bio-Organic Agriculture Association, Sindyanna and its products have been recognized internationally for upholding the Fair Trade practices and for the quality of the products. Today, Sindyanna's products are exported to tens of countries, including Japan, Canada, Norway, Italy, the Netherlands, Australia, Switzerland, Belgium, US and UK.